It's not an iPad -- but it isn't supposed to be. 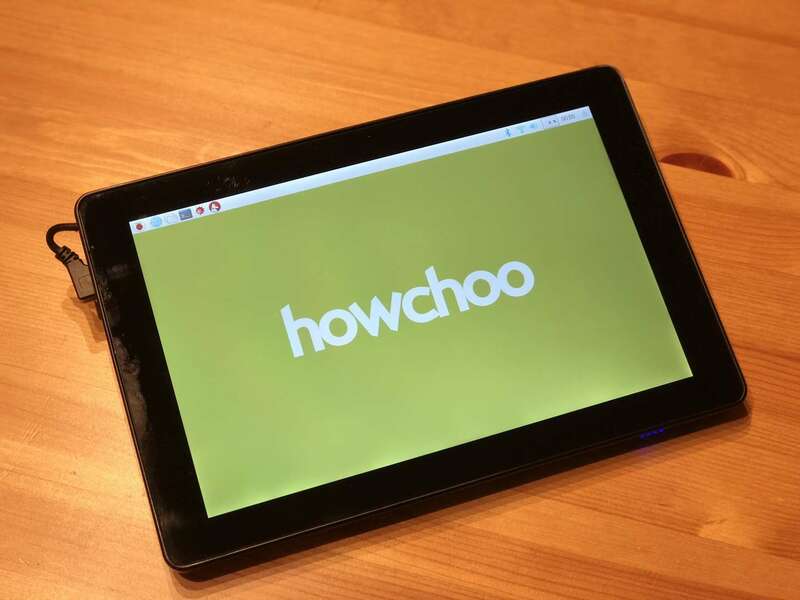 The Raspad from SunFounder is a Raspberry Pi-powered tablet aimed at the maker market. The Raspad’s Kickstarter campaign raised over $600,000 of its $10,000 goal, and is now available for purchase on Amazon. 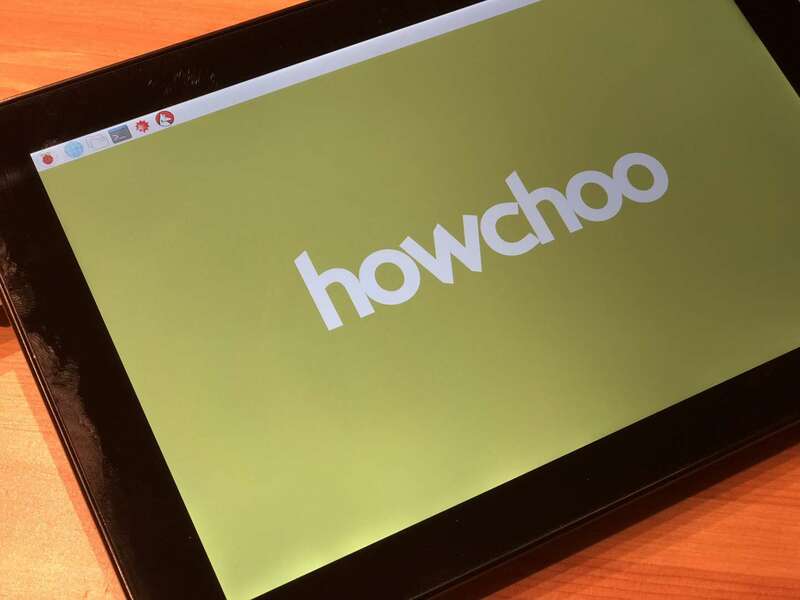 Knowing how many Pi projects we do here at howchoo, SunFounder sent us a pre-production unit to check out. 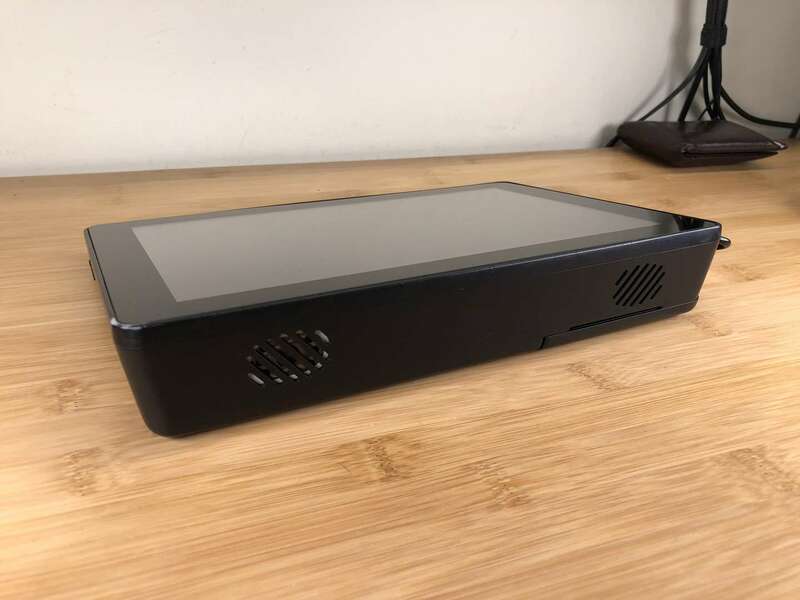 So here’s our review of the SunFounder Raspad. Watch our video review, or read on for our full text/photo review! Is the Raspad worth it? 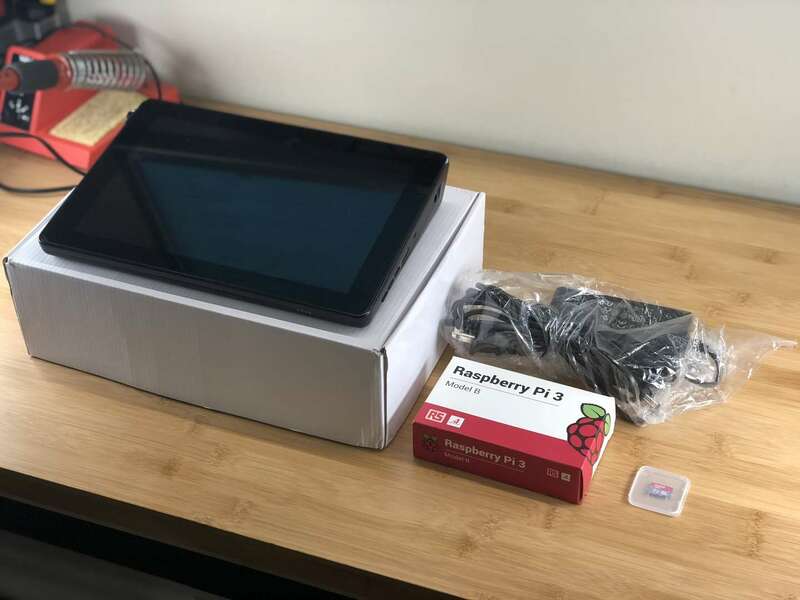 In the box, you get the Raspad itself, an AC adapter, an SD card preloaded with a customized version of Raspbian -- and, if you chose the right Kickstarter reward, a Raspberry Pi 3. On first glance the Raspad is aesthetically pleasing and feels good to the touch. 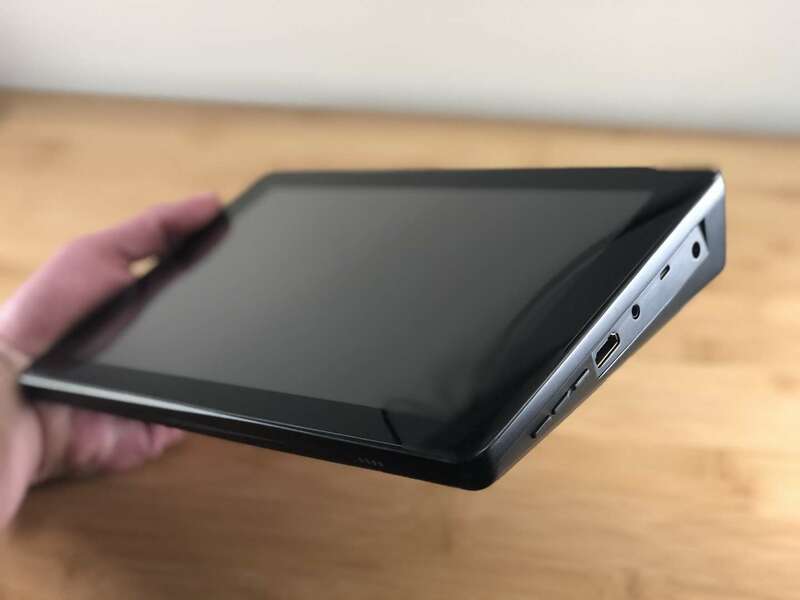 It sort of looks like an iPad. A lot like an iPad, in fact. But only from the top. 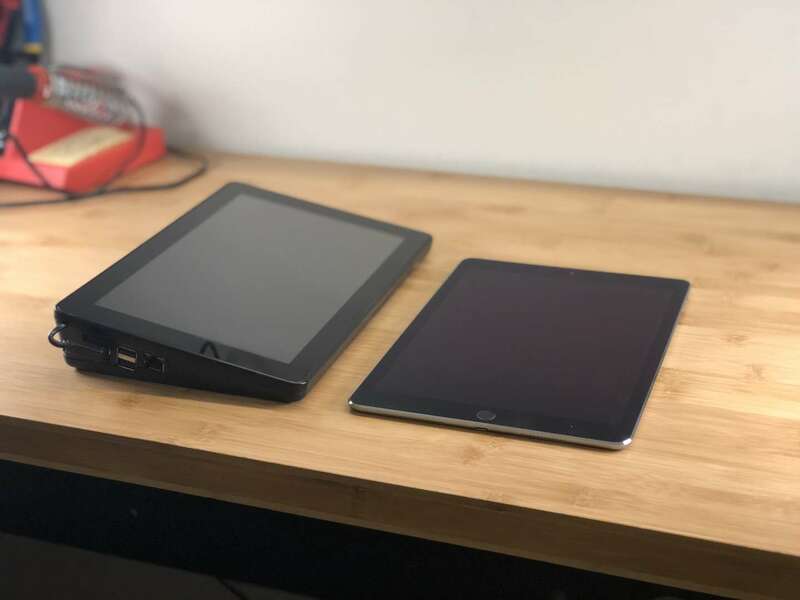 It’s not as thin as an iPad, but it isn’t meant to be -- it’s meant to be carried around for limited periods of time and then set on your desk. Also, it needs to hold a Raspberry Pi, so it can’t be that thin. It’s definitely heavier than an iPad, but is still very portable and its wedge shape makes it easy to hold. The case is nice and solid and doesn’t feel cheap at all. It has some heft to it and it feels like something that would survive a decent fall (though I’m not going to test this. Maybe later). Along the top it has a pair of dual 2W speakers providing stereo sound, though they don’t get terribly loud. On the right side, we have a power button -- something that’s always been conspicuously missing from the Raspberry Pi itself. If you’re interested, u/tyler created a guide for adding a power button to any Pi project. Anyways, here we can also find a screen brightness toggle switch. At first I thought this was a volume control, which makes more sense, and it can definitely be remapped with a bit of hacking. But after messing around with the unit for a while, I now understand why it controls screen brightness instead; but more on that later. Also on the right, the Raspad has several built-in ports. 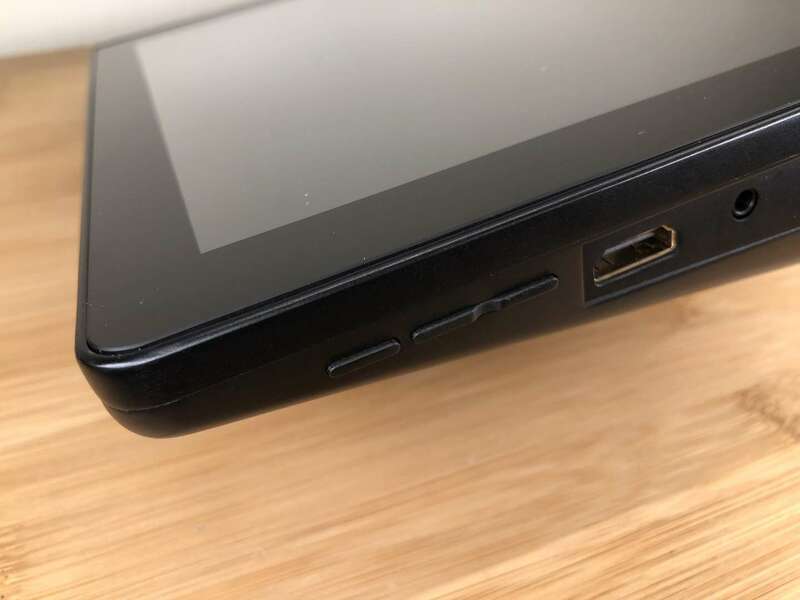 There’s an HDMI input which allows you to use the Raspad as the display for a separate device. 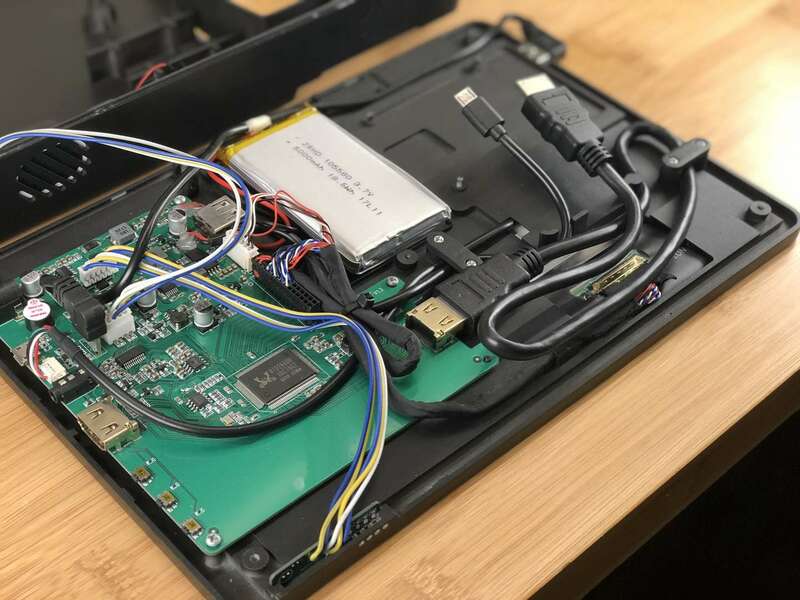 Seriously, I have no idea why you’d want to do this; it would make more sense if it were an HDMI output so you could connect your Pi easily to your TV without removing it from the case. Anyways, there’s also a MicroUSB input so you can use the touchscreen to control another device. This is definitely another edge use case, but I’m sure somebody will make use of it. Next, there's a 3.5mm stereo headphone jack for outputting sound on something with real volume. Seriously, the integrated speakers are pretty dinky. Finally, there’s a DC power input for connecting the included AC adapter. On the bottom, there’s a sliding panel that reveals an opening for your Pi. 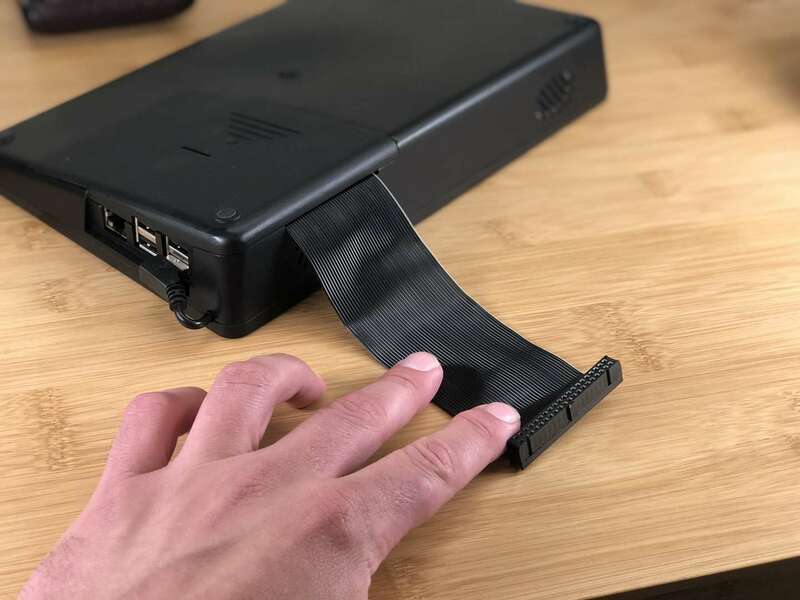 Just slide the cover off, connect the HDMI and MicroUSB power cables to your Pi, and drop it into place. A spacer holds it snugly without the need for screws. Neat! Since the Raspad really is meant for developing all kinds of Pi projects, there’s also a slot for running a GPIO extension cable to connect various Pi things. This is a great feature. The normal kit doesn’t come with the extension cable itself, but these “rainbow” cables only cost a few dollars anyways. Well, my cable is more of a cloudy day cable. But I digress. 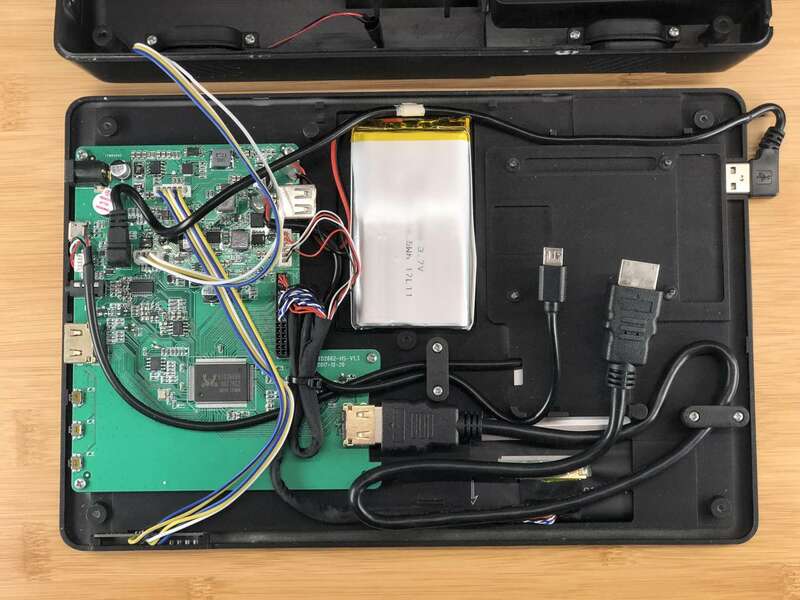 After putting your Pi in place, you’ll have access to all your key Pi ports from the outside, including all four USB ports for connecting USB peripherals, like game controllers and other equipment. And, of course, an Ethernet port for connecting your Pi to a wired network in case your house is made of lead or if Wi-Fi isn’t your thing. Four power LEDs on the front of the Raspad show you how full your battery is. I’m not sure why they’re flashing, though. I don’t think they’re supposed to do that. But then again, this is a pre-production unit. 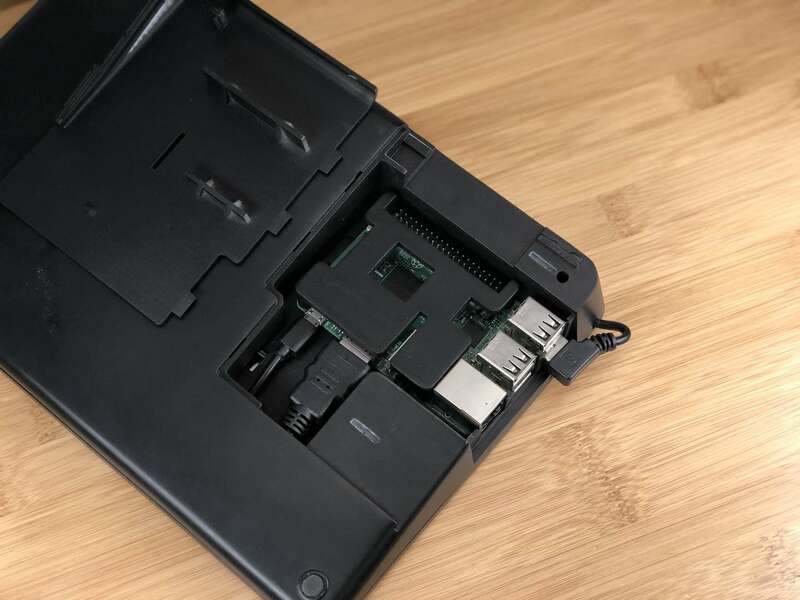 The Raspad boots immediately into Raspbian, meaning the SD card is already formatted and configured with some software you’ll want to use. No configuration needed! You can access the on-screen keyboard by navigating to Pi Icon > Accessories > Keyboard. Another thing that surprised me was that the touchscreen screen didn’t work. That is, until I realized you have to move the screen’s USB cable from its holder and into the Pi. The pre-production unit we received had no instructions, so this wasn’t as obvious as you might think. Anyways, from here on out it’s plug-and-play. I love when things just work. The 10.1” IPS LCD display is bright and vibrant, boasting a respectable -- though not crazy -- 1280x800 pixel resolution. Because this is an IPS display, the screen has truer colors than non-IPS displays and is clearly visible from many different viewing angles. It responds nicely to touch, allowing up to 10 simultaneous touch points. A similar screen alone would cost well over $100. The Raspad contains a 5000mAh LiPo battery, which the manufacturer states will run the unit for about 5 hours; I‘m a bit skeptical about this claim. I’ve done a lot of battery-operated Pi projects and running a Pi 3 plus a large screen at full brightness for five hours with a 5000mAh battery is a bit dubious. This is probably why the toggle switch on the side is a brightness control instead of a volume control. I did notice a few weird issues with the unit I received -- like very faint red flickering lines on the screen and an undervolt warning indicator while charging. I emailed SunFounder about these issues and they told me that they only existed on the pre-production units and have been fixed for the production units. Now, what can you do with it? Well, just about anything you can normally do with a Pi. I always have a Pi plugged in at my desk for working on various projects and testing things out, but I have to switch my monitor over from my Macbook to the Pi when doing this. It’s actually really cool to have a dedicated unit on my desk to use for such things. 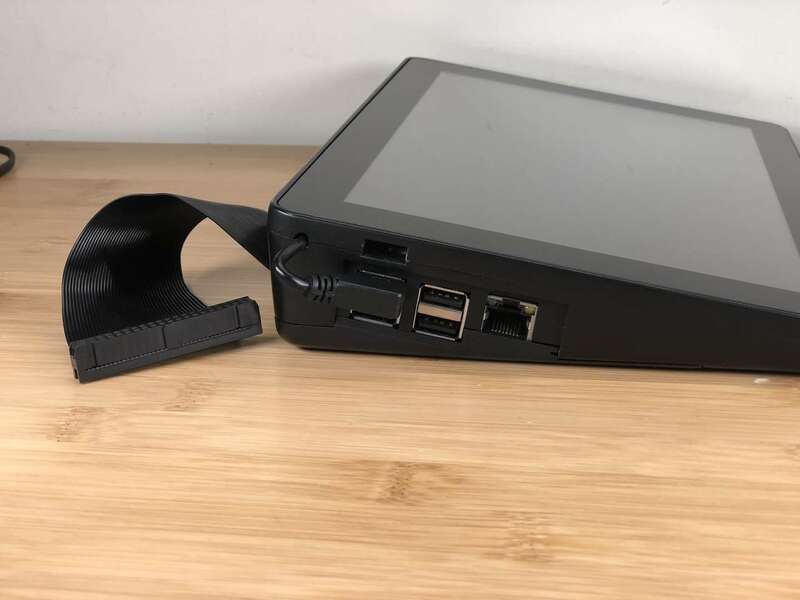 Of course, you can also make this into a portable Raspberry Pi gaming station with a large display by installing RetroPie and connecting a couple controllers. Or perhaps you want to save some money and build your own telepresence robot.. or control your 3D printer.. or build your own wall-mounted smart house system controller.. or, something. But that’s the point, right? Wherever your Pi project takes you, you can take the Raspad along for the ride. I think so. You just need to set your expectations properly. 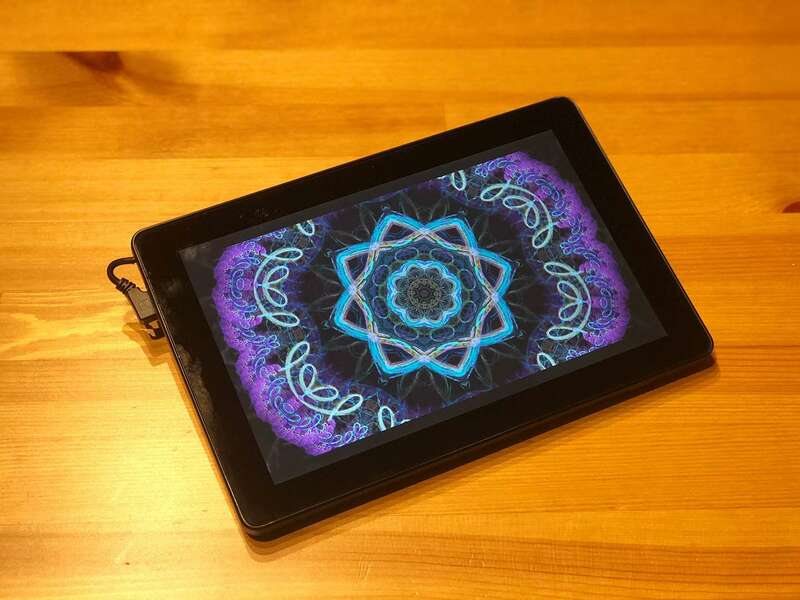 This isn’t an iPad, it’s a tool meant for makers, hackers, and educators. It’s heftier than an iPad, but that’s kind of the point. You’ll still want to use a wired or wireless keyboard and mouse for doing a lot of things to it. After all, unless you’re logging into your Pi remotely, nobody wants to code on an on-screen keyboard. 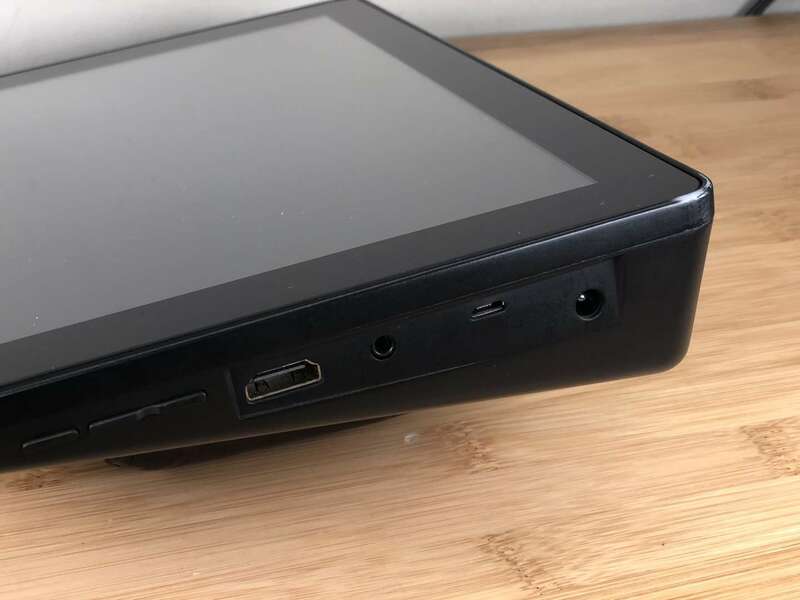 If you want a Raspberry Pi tablet, this is the one to get. It’s plug-and-play and just sort of works. It would’ve been nice if they released one that used the Compute module though. Then it would’ve been even thinner. 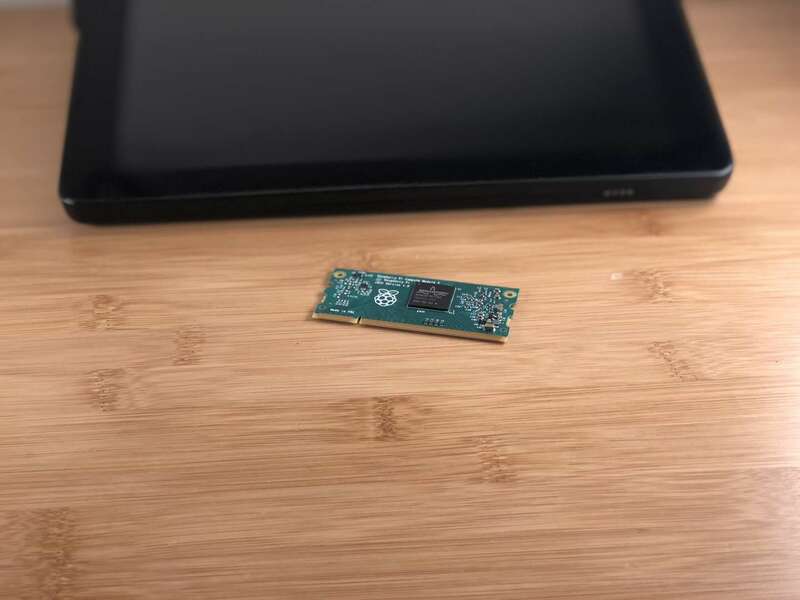 If you don’t know much about the Compute module, it’s basically a Raspberry Pi 3 without the ports and measuring about the same size as a stick of RAM. But that’s a story for another day. If you enjoyed our review of the SunFounder Raspad, be sure to check it out on Amazon!